Each year, the Criminal Law Section bestows the Selig Goldin Award on a member of the Bar who has made a lasting contribution to Florida’s criminal justice system. This year, we are pleased to recognize the Honorable Thomas Petersen. In his more than 50 years of practice in Miami, Judge Petersen has made a remarkable and lasting contribution to the state’s juvenile justice system and programs. After graduating from Columbia Law School, Judge Petersen joined VISTA (Volunteers in Service to America), moved to Overtown (an African-American community in Miami) and created the first Pretrial Release Program (PTR) for indigent defendants. He served as the first Assistant Public Defender in Miami to be assigned to juvenile court. From there, he was hired by then State Attorney Richard Gerstein to create and administer the first Pre-trial Intervention Program (PTI) for first-time offenders in the southeastern United States. With limited staff, he simultaneously served as Director of both the PTR and PTI programs in Miami. His PTI program was nominated for Exemplary Project Status by the Law Enforcement Assistance Administration, and Judge Petersen was awarded an LEAA grant to fund the diversion program. As the Chief Assistant Public Defender under Gerstein and Janet Reno (both former Selig Goldin Award recipients), Judge Petersen was responsible for the administrative and policy decisions in an office of over 180 attorneys. He served as the Legal Advisor to the Dade Grand Jury and issued reports covering policies ranging from foster care, nursing homes, vocation and probation programs, immigration and narcotics interdiction, and inner-city schools. This was in addition to administering a $3 million federal grant to establish and fund a recidivist Juvenile Offender Program, an Early Intervention Program, a Juvenile Restitution Program and the SAO’s First Offender Diversion Program. Outside of the courts, Judge Petersen created a small chain of non-profit grocery stores run by AFDC (Aid for Families of Dependent Children) which employed women from public housing projects. 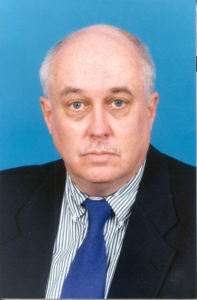 And together with civic champion Georgia Jones-Ayers, he co-founded The Alternative Program, Florida’s first privately operated pre-trial release organization. In 1988, he was awarded The Miami Herald Spirit of Excellence for his economic development work. Appointed to the circuit court in 1989, Judge Petersen served for nine years in the Juvenile Division of the Eleventh Judicial Circuit Court. While there, he developed a first-offender diversion program, a committee to oversee residential and non-residential juvenile delinquency programs, the TROY (Teaching and Rehabilitating Our Youth) program, Teen Cuisine (teaching food preparation and service skills), the Gardens of TROY (horticultural program) and the TROY Academy — all designed to give juvenile offenders the skills to develop self-reliance and responsibility. He truly is a man for all seasons. We are pleased to recognize Judge Thomas Petersen for his lifetime commitment to the citizens of Florida.